The new Halo Bassinest Swivel Sleeper is an infant bassinet that moves to allow infants to sleep as close as parents want, even right next to them in bed. Infants sleep safely in their own separate sleep area free of blankets and loose bedding, reducing the risks associated with bed sharing. The patented, dual-swivel design allows the Bassinest Swivel Sleeper to rotate a full 360 degrees from two different pivot points. 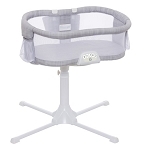 The first swivels elliptically, allowing the Bassinest to be pulled into the bed next to mom; the second rotates circularly, making it easy for mom to angle it as needed, as well as to get in and out of bed. 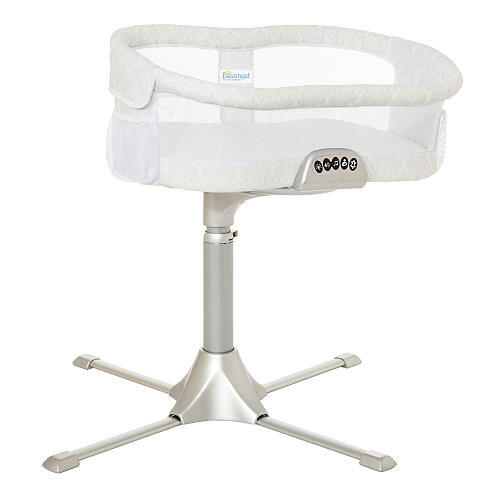 The Bassinest Swivel Sleeper can also help support nursing moms, particularly during the nighttime. The Bassinest also comes with a nursing timer which alerts mom when it's time to switch sides or return baby to his sleep space. Other features include a nightlight, soothing nature and womb sounds, music and gentle vibration. Recommended for babies up to 5 months or 20lbs (maximum weight of 30lbs). Use should be discontinued when baby shows signs of rolling over, pulling up, pushing up or kneeling position. Sidewall lowers so it’s easy to stay in bed while tending to your baby. Stable 4-point base adjusts to fit most beds from 24” to 34” tall. Includes nightlight, 3 soothing sounds, 3 lullabies, nursing timer and vibration, all with 30-minute auto shutoff. Includes 100% polyester coordinating fitted sheet. 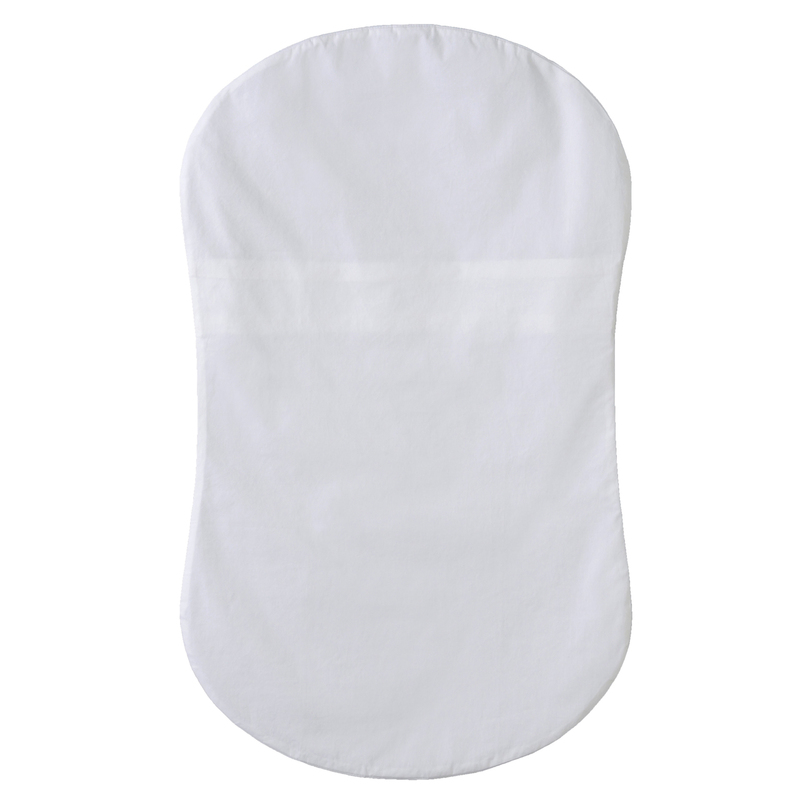 Made from stain-resistant polyester that wipes clean with a damp cloth. Sheet is machine washable. Polyurethane mattress pad is waterproof and contains no toxic flame retardants. For babies up to 30 lbs (13.6 kg) or 5 months of age. Additional shipping may be required. Read more about this product on our Blog!